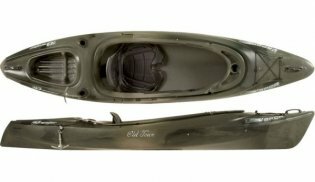 Fishing Kayak Reviews Old Town "Vapor 10"
The Old Town Vapor 10 Kayak is a compact kayak with a lot of volume and offers a stable, yet efficient ride. The Old Town Vapor 10 Kayak is designed with a large cockpit opening that allows easy entry and exit as well as accommodating all sizes of paddlers. Equipped with a comfortable seat, the Vapor 10 goes way beyond the basics, and getting a workout is as easy as grabbing your water bottle and heading to your nearest body of water. Some other features I liked about this kayak is the fact that there is a paddle holder and an anchor available that allows you to simply focus on trolling instead of adjusting the kayaks position constantly. This is not the best fishing kayak to stand in when the waters are choppy because of it's rounded hull. 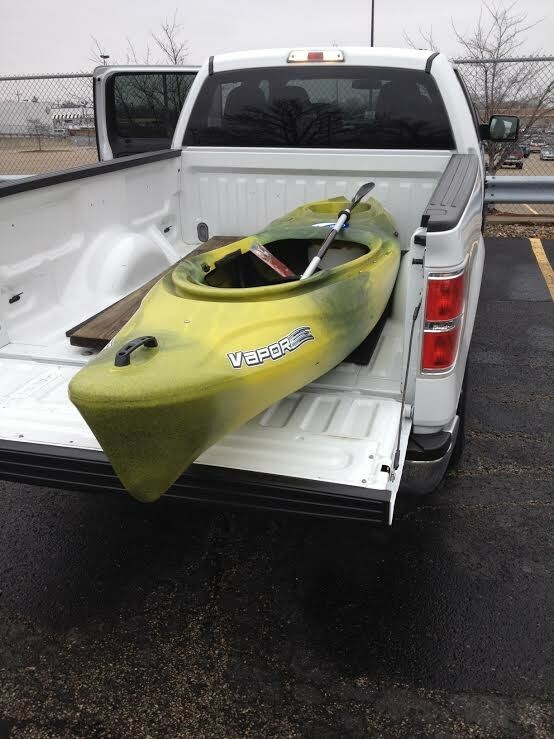 f you are looking for some yak fishing in calm waters and you are on a bit of a budget this is a solid kayak to get. Those guys are all wrong! This OTV is my 2nd fishing kayak. I bought it cause its 10 ft and 44 lbs. My 1st was 12 ft and 66 lbs. I guess I aged out of the battleship weight class. So its not as stable as the monster BUT there is plenty of room for my tackle box, 2 rod holders, and that 4 pound large mouth bass I caught on Nequasset Pond, Woolrich, Maine. Anybody want to buy a 12 ft kayak? I got the old town trip 10 angler deluxe about a year ago which is pretty much the same thing as the vapor but with a lockable hatch in the back. Shes done me well on all the trips ive gone on so far. The only issue i have is space and how unstable it is. Its treks great however but if youre looking at modifying it be careful. Around the hull of it theirs hardly anywhere to mount rod holders, fish finders, etc. It is my first kayak and i will for sure wind up upgrading to a much longer and more stable kayak. but all and all for what it is its a great first kayak. Flag mount behind back hatch. Rod holder on side which gets in the way while paddling. Upgraded seat. first kayak. I did my best to outfit it for fishing. I am very pleased so far. I have used this on the upper Niagara river, lake erie and a couple local creeks. can take a lot of chop in it on the lake and feel very safe in it. If I could change one thing, I would raise the seat up about three inches. Working on minimalizing my gear I take, put the essentials in Gallon zip-loc freezer bags and reach behind seat when I need something. I paid $299 at Dunhams at Christmas time, A buddy at work paid $279 a couple months later. That's a whole lotta fun and good times to be had for $280! Added a pad for the backrest that comes standard on the Angler model. A Igloo "Little Oscar" cooler fits perfectly in the tankwell. Also use some stadium/deer stand style foam pads on seat and backrest for added comfort while fishing long hours. Still on fence regarding anchor trolley on curved hull surface, and bow bungee net (afraid would get snagged on small rivers).